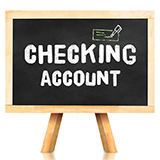 Personal checking has never been easier with a UFCU checking account. Choose from several styles of reasonably priced checks. Please contact UFCU if this is your first time ordering checks.